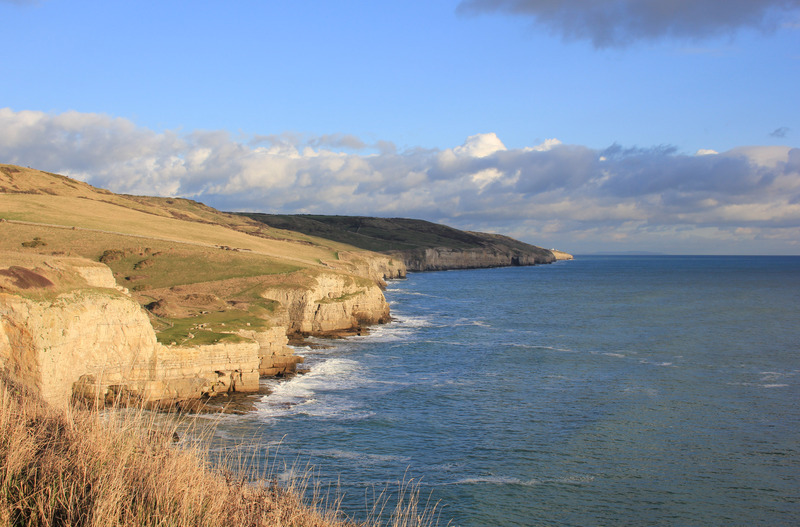 The central section of Dorset’s coastline is literally lined with ledges. We had just been to Dancing Ledge, but heading west there is Gun Ledge, Seacombe Ledge and Winspit Ledge, to name but a few. As you head west you can look back and get a good view of them lined up along the coast. You can see that most of these ledges are old quarries. There are several along this stretch of coastline, but Winspit deserves a special mention. 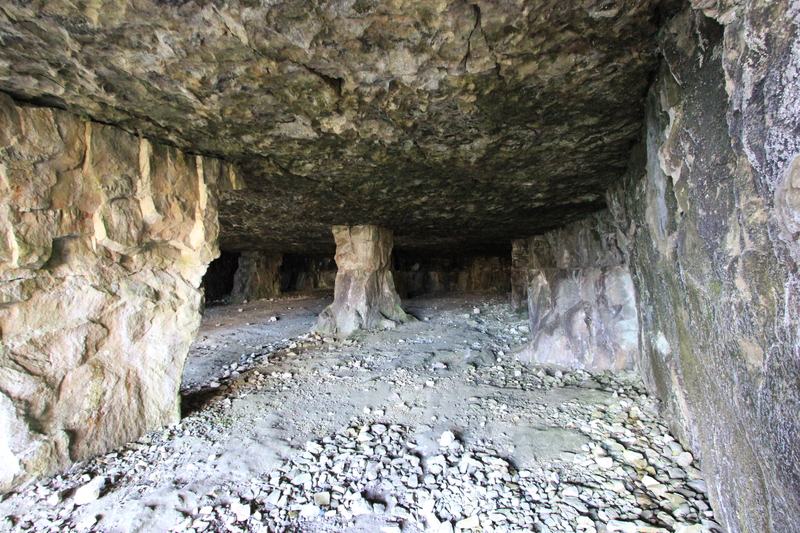 Situated about a mile to the south of Worth Matravers, Winspit Quarry was in use until about 1940. Portland Stone from here was transported up to London and used for building. During World War Two it was used for naval and air defences and was never reoccupied as a quarry afterwards. Rather, the caves were opened to the public and remain so to this day (with “At Your Own Risk” notices dotted around, of course). 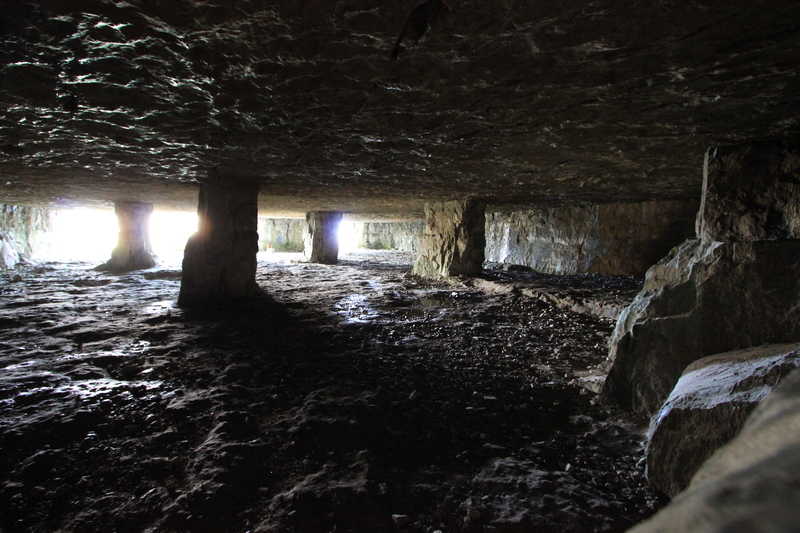 I am sure there is a risk of a splintered stone block coming away from time to time, and I certainly wouldn’t want to be underneath when it happened, but I also couldn’t resist a peek inside one of the larger caves. 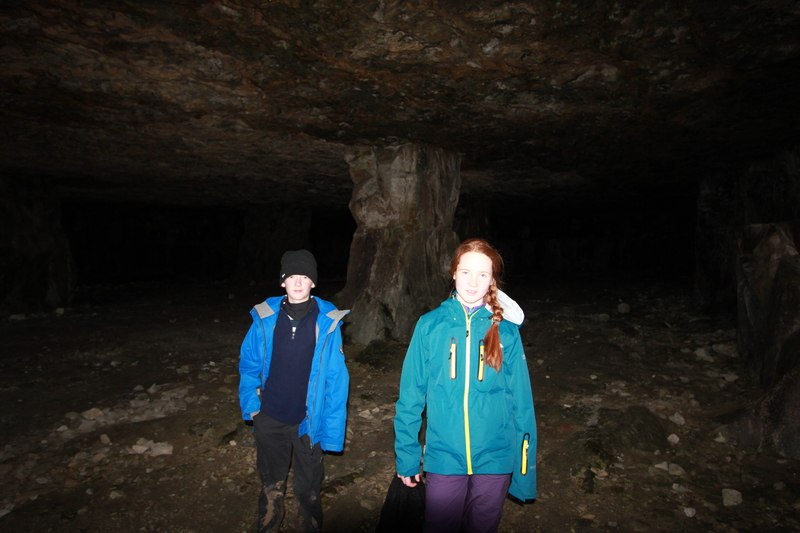 Giant stone pillars held up the roof above and stopped everything from collapsing on top of us. Water dripped from small cracks in the ceiling. The further in we went, the darker it became. Winspit Quarry has been used as a location for Blakes 7 and Doctor Who over the years. It is easy to see why it is attractive for location filming. It was fascinating wandering around these caves and imagining what engineering skill it must have taken to remove the rock whilst still holding up the cliff above. We couldn’t stay for long at Winspit; some weather was coming in. 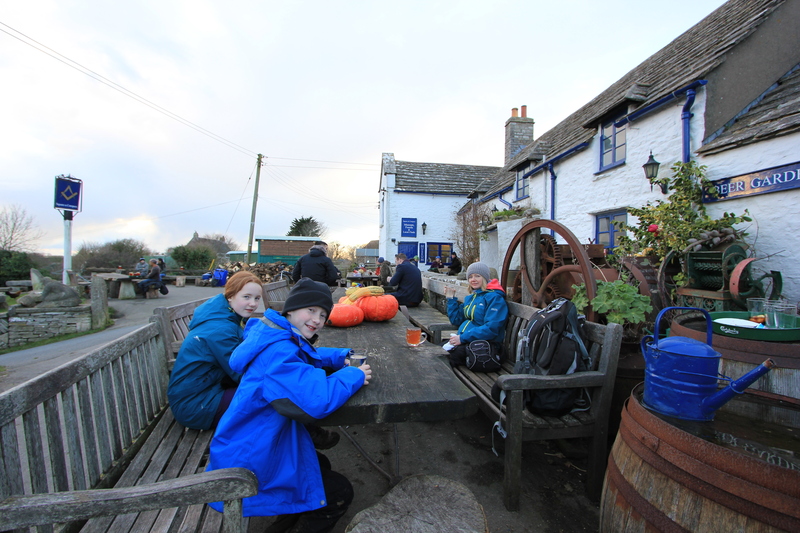 We headed inland to Worth Matravers and the Square and Compass pub. This pub is famous and well worth a visit if you are in the area – the mulled cider is fantastic. It’s a rustic pub, as you can see. Twenty-or-so years ago I stopped off here and remember a duck following me to the bar. Nobody paid it any attention; the wildfowl roamed quite freely at that time. I was pleased to see this was still the case. 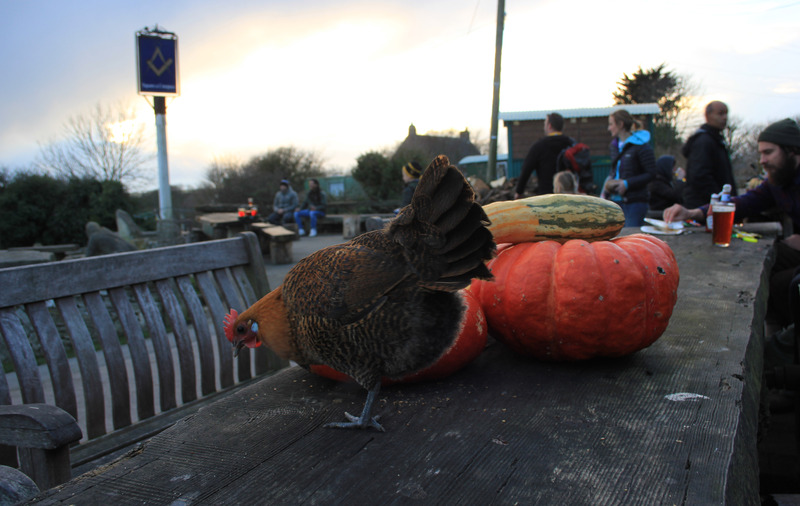 The ducks were nowhere to be seen but the chickens were very friendly! 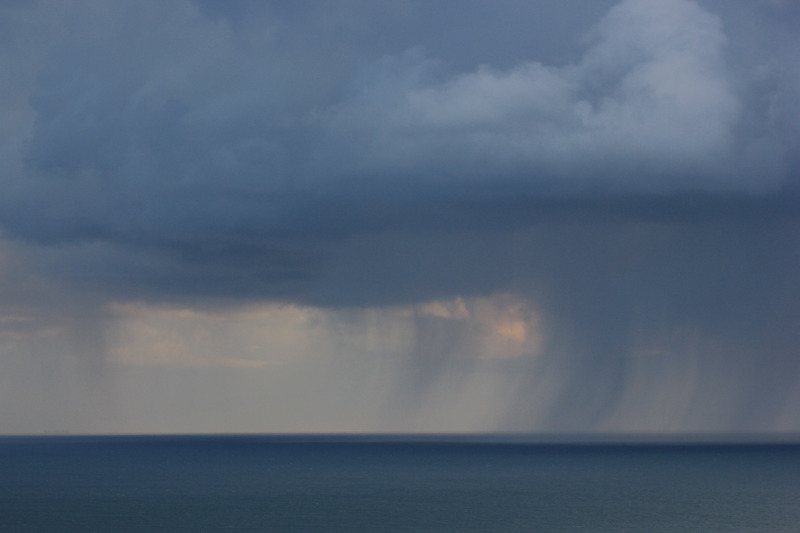 We sipped our drinks and watched the weather out at sea turn and head our way, at which point we said goodbye to our feathered companion and fled to the safety of our car. 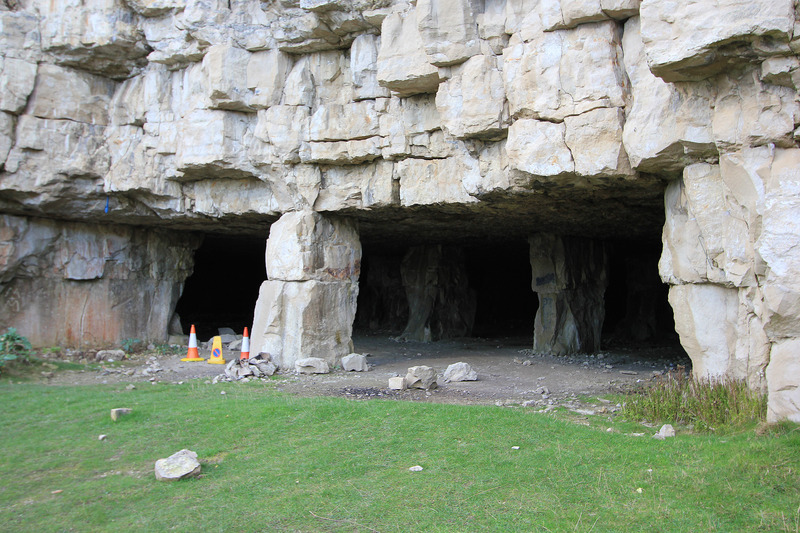 This entry was posted in Dorset and tagged caves, coast, Dorset, pub, Purbeck, quarry, travel, walking, Winspit, Worth Matravers. Bookmark the permalink. Yikes! I get very nervous just looking at the photos. And I did notice that your lovely wife is not in the cave shots. It’s so nice to catch up on what your family has been up to!